Callum Smith hopes beating George Groves will earn him a dream fight at Anfield. The Liverpool fan challenges the WBA 'Super' super-middleweight champion in the World Boxing Super Series final, in Jeddah, Saudi Arabia, on Friday night. 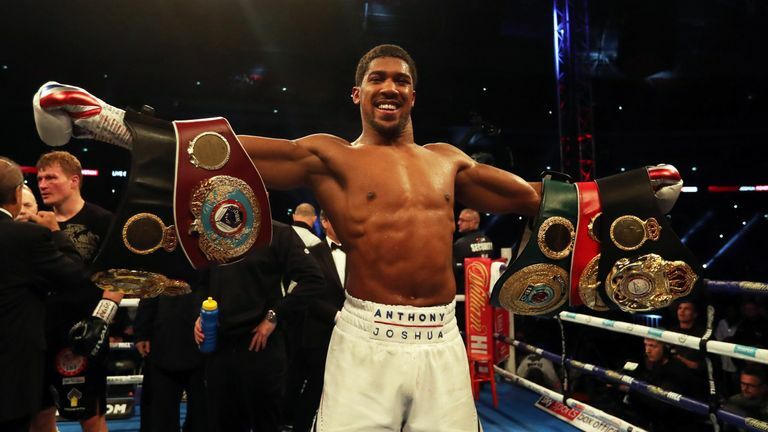 Smith fought at Goodison Park on the undercard of Tony Bellew's world title win back in May 2016 but with Anthony Joshua's last four fights being in stadiums, the 28-year-old wants to return to Merseyside as a world champion and fulfil a dream. "Anfield is the main dream," Smith told Sky Sports. "I have a bucket-list that have a lot of boxes to be ticked, and one is to win a world title and to fight at Anfield is another. I was lucky enough to be on the undercard of Bellew's and witness the city coming out supporting that. The stadium fights are the ones you want to be involved in. "I remember sitting there thinking this would be a little bit better at Liverpool because it's a bigger club, so that is the ultimate goal and winning a world title makes that a lot more possible." Smith will take on Groves at King Abdullah Sports City, Jeddah, with the Muhammad Ali Trophy also on the line, but not in the 62,000 iconic stadium. The final will take place in the much smaller Indoor Sports Hall, but with Kell Brook boxing at Sheffield United's Bramall Lane and Leeds fan Josh Warrington winning his world title at Elland Road earlier this year, 'Mundo' wants to join the list. "The stadium fights are the ones you want to be involved in," he said. "There is a lot of things to tick off but I am sure that is one everyone wants to do. "I think Joshua doing it has made it more of a reality now. Boxers can fight in stadiums and can pack them out. If I can do that, I am doing something right in my career. "Groves is the champion, he is the favourite and he's got everything to lose. My best performances have always been in my biggest fights. I believe this will be no different." Follow George Groves vs Callum Smith and an undercard including Chris Eubank Jr on our live blog on skysports.com/boxing and the Sky Sports app, on Friday evening.